WhAM BAM THANK YA FAM! from bringing 1 child to staying with the extended brood, we've got port douglas' best family friendly accommodation ready to go! This stunning family friendly 3 bedroom beachside villa is Ideally situated on Garrick Street, walking distance to Macrossan Street where you can shop or dine to your hearts desire, and 100 meters from the iconic white sands of famous Four Mile Beach – Tropic Villa has you perfectly situated! A beautiful resort located close to the action & the beach. Offering a variety of rooms from Spa to Lagoon suites 1-3 bedroom. Not to mention a very inviting lagoon pool to laze around. Located walking distance to beach & main street this hotel has 3 pools, a gym & tennis court. Offering hotel rooms, 1 & 2 bedroom apartments. If you ask our kids, Hapuka is their No. 1 holiday house in Port. Spacious, functional, stylish & perfectly located. Two living areas is also a bonus. If it’s pools you want, it’s pools you’ll get - 185 metres of them for the kids to perfect their bombs! Modern, spacious self contained apartments for any family. The moment you step into this stunning Hamptons style home you know you’re going to be back. This house was made for families. One word – perfection. If you want somewhere to mentally check out, the Sheraton’s 5-star luxury is your answer. Two hectares of lagoon pools for the kids not to mention the stunning tropical grounds. All on one level & walking distance from town, this place is a fantastic family friendly option. You can keep an eye on the kids in the pool from the living area & kitchen. Close to the action, killer horizon pool, spacious & modern apartments. This is your recipe for the perfect PD holiday with the kids. If you want convenience this is the pad. Located across from Rex Smeal park & a 1 min walk to Macrosan Street. This family friendly pad is great. Winner of the Best Private Home or Villa in Port Douglas in 2017, it’s obvious why as soon as you arrive. This gorgeous home is perfect for your girls trip. This great holiday rental is ideal for large families or 2 families. Spacious & beach access right across the road. Modern Aussie cuisine with a great family vibe! Relaxed al fresco dining on the beach with playground. Simply the BEST pizza in town! Family bistro with killer water views. Local craft beers & happy family eats. Casual vibe, great food located on the inlet. Fill ‘em up & let ‘em play outside. Great pub, live music & family friendly vibe. Delish local food on the water front. Awesome seafood before you tuck them in. A seriously impressive fish tank. (you'll know where once you've been). The Shack's got your back for dinner, drinks, tapas, take away pizza and home delivery! 10 Things to do with the kids. Discover the park, get up close with the kangaroos, cuddle the koalas, watch the crocs being fed & heaps more. Lots of wildlife to keep the kids entertained for hours. Head up Dicksons Inlet on the hunt for crocs, drive the boat & enjoy the ride on the iconic Lady Douglas river boat. Great for the littlies as they ride the Bally Hooley up to St Crispins. Have a bite to eat or snack at Choo Choo’s Café & ride the train back. A great place to visit for all ages. See the rainforest, swim in the gorge & hunt for turtles. Pram access available on paths but not walking tracks. Hire what we like to call the “Chariot” (the bike trailer). Explore the sights whilst the kids ride in the back. Yes Mum & Dad you do all the leg work but it’s easier than you think! Who hasn’t kissed a toad over the years? But these toads are way more entertaining. Daily at the Ironbar. Simply bid for your toad, give it a good luck kiss & race away. So. Much. Fun! The Glengarry Waterpark is located at the Big 4 Caravan park on Mowbray Road, just out of PD. Slides, pool action & a whole lot of rainbow colours thrown in so the kids love it. The kids will sleep well at night with Calypso’s ½ day reef trips to the Low Isles. A 30min trip out on a glass bottom boat, including guided snorkeling tour & island walks. Some days you just need to RELAX! So reserve yourself a banana lounge at Four Mile beach. Rent some beach toys from Port Douglas Watersports & Beach Hire. Or go old school and build some sand castles. 10 Things to do with the Big Kids. Croc spotting, rainforest exploring, waterhole swimming and beach hopping. This Daintree day adventure has something for everyone. Explore the oldest rainforest in the world from a unique perspective with a guided zipline and tree platform experience. Fun for all ages and no experience necessary. This one’s for the slightly older kids. With a variety of trails for all levels the crew at Bike n Hike have options to suit everyone, including ½ day tours so you can maximise your day. Lock in a ½ day aboriginal cultural adventure & learn about the environment, foods & natural medicines. Kids will love having a go at spear fishing for a mud crab. Hire a boat & fishing gear, grab a couple of snags to cook on the boat barbie, head up the inlet & try to catch yourself some dinner. Under supervision the kids can even drive the boat. Give your day a real uplift. Get sky high with a tandem parasail or go for a spin on a jetski across the sea. A truly epic day for the adventurous kids! Ride to the reef in 15 minutes at high speed, then snorkel around the Low Isles. Discover the island & wham bam thank you mam you are back in Port within a few hours. Snorkel your heart out as you get up close & personal with The Great Barrier Reef & its marine life. Calypso Reef tours are fun for the whole family. We love this & so will the kids. Paint a boomerang or a canvas with Binna. Learn all about what the colours mean & you too can create a true aboriginal experience. Tried & tested a million times so we can 100% vouch for Busybees Babysitting. Fay & the girls come prepared to keep your little ones entertained for hours. Childminding , nannies, kids clubs, weddings and events - they've got it covered. Only the best care for the most precious ones in your life. Our kids want us to go out just to see Fay & her sitters! Elite Transfers Cairns is offering free car seats for those travelling with the little ones. 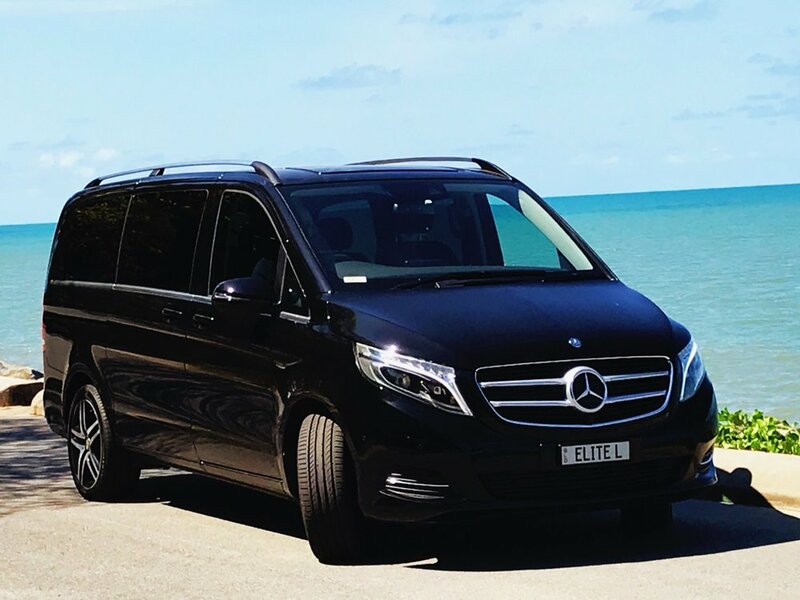 Get collected in a little luxury and move the fam in style – organise a private airport charter from Cairns Airport to Palm Cove / Port Douglas. We've done dozens of family trips to Port Douglas and have literally tried it all. Just let us know what you need help with and we'll get back to you with some first hand personal advice - straight to your inbox!